I am the pastor of a great church in a seaside community near Boston, a husband and father, and a follower of Jesus. In my current capacity as pastor, I seek to support, encourage, and equip the congregation, connect with people in the local community, preach and help lead services weekly, and minister with the congregation in a variety of other ways. In my current capacity as father of two boys and one girl, I drive people to soccer, read books, and try to foster a culture of fold-your-own-laundry. As you’ll see at Words on the Word, I particularly enjoy studying the Bible as transmitted in Hebrew and Greek. I read some, too, and write about it here. I have spent more than a decade in youth ministry, working at small, mid-sized, and large churches in Illinois, Virginia, and Massachusetts. 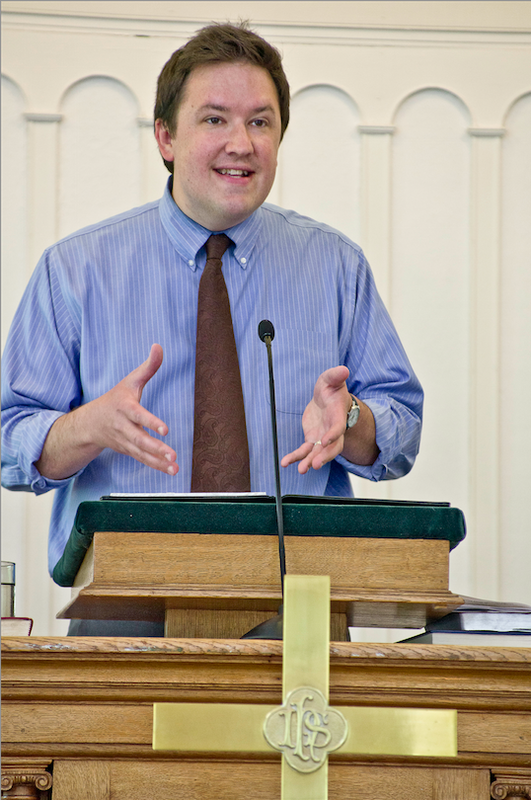 I have also led in other church ministry capacities, including leading worship music, preaching, and consulting. I wrote Sustainable Youth Ministry: The Study Guide, which is available for purchase and download here. You can contact me through Twitter or by using the contact form here. This is a treasure mine Abram. Thank you for a God-centred and God-glorifying blog. You are welcome! Thank YOU for your very kind words–I really appreciate the encouragement! Hello, where are you studying for your Mdiv? I am just beginning mine, do you have any tips? Hi, David–I’m studying at Gordon-Conwell’s urban campus in Boston. Where are you starting? 2. Sleep (go to bed early, wake early to do schoolwork). 3. Learn how to speed read and skim as needed. Some stuff you won’t want to skim, of course, but other stuff you can. GC is a great school. I’ll be studying at Ashland Theological Seminary in Ohio. I am single (which means I can be a little more selfish with my time). I’ll keep those tips in mind, thank you. Sure thing! I wish you the best as you begin. Hi pastor, my name is Moshe Yaakobh Slipack, I´m jew and Jesus´ follower as you are.I teach Hebrew and Greek here in Brazil. I need some tips to make vídeo classes to serve students who are far from where I live. Could you hepl me,please? Hi, Moshe! Thanks for your message, and may God bless your teaching efforts. I’m not sure I’m the best person to help you with video technology for teaching classes–what exactly are you trying to do, and with what kind of tools at hand? Hi Moshe. My wife is a Jewish believer and I work with Jewish believers in New York. Would love to connect with you and hear your story. How can we get in touch?